Member: American Watercolor Society, California Water Color Society, Carmel Art Association. 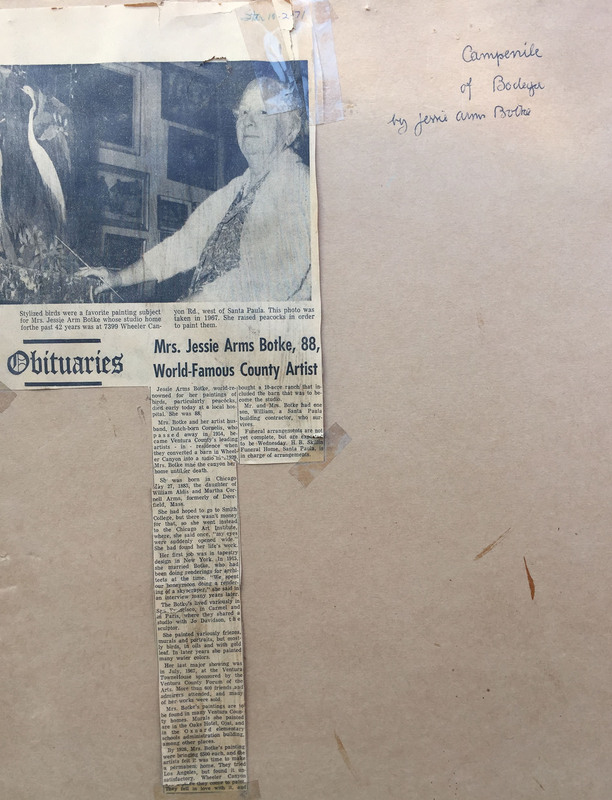 Jessie Arms Botke grew up and was educated in the Midwest. During the 1920s, she moved to the West Coast and settled near Santa Paula. Although Botke painted and exhibited many watercolors and worked prolifically as a printmaker, she received national recognition for the production of murals and decorative oil paintings of exotic birds. Many of these paintings were reproduced by the New York Graphic Society and distributed world wide. This is one of a pair of Jessie paintings I have depicting the Saint Teresa of Avila church. 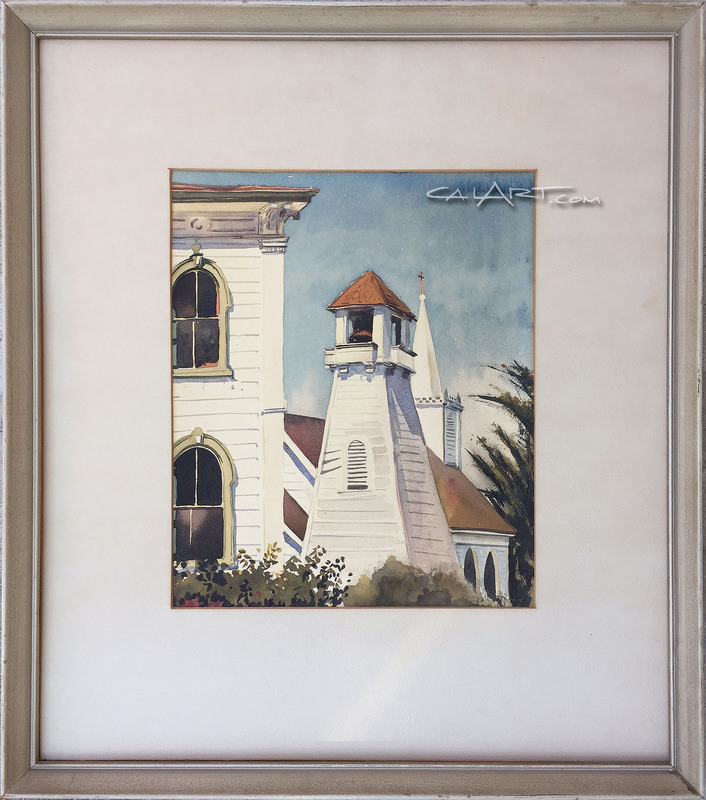 Original Bodega Bay Church watercolor by Jessie Arms Botke. Painting is signed lower right and again on the back. 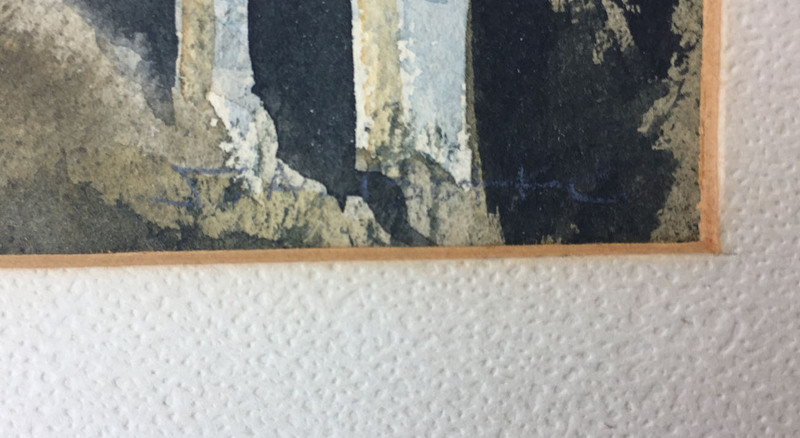 It is also tltled on the back of painting AND the paper backing on the frame. 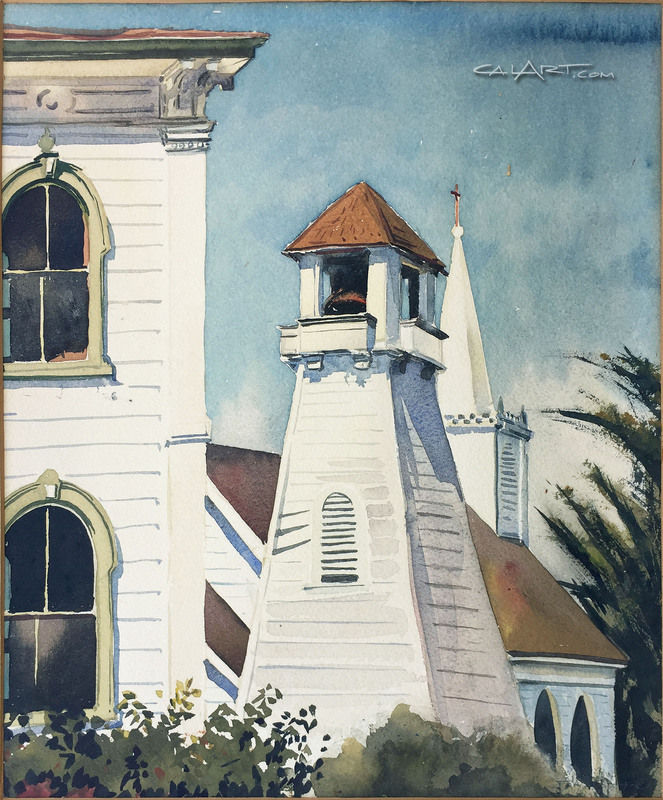 Title reads "Campanile of Bodega, 1944". In original frame. Measures 11 1/2" x 9 1/2", frame measures 20" x 18". Estate fresh, has not been shown or offered for sale since the 1944. 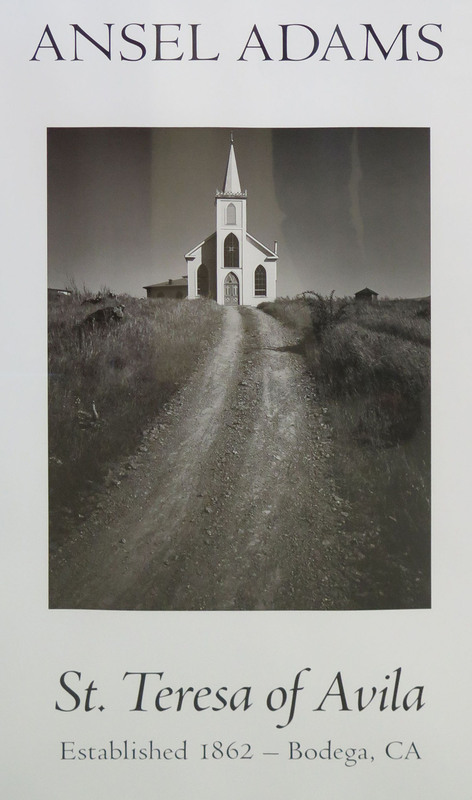 Interesting history on this church: Ansel Adams made Saint Teresa of Avila the subject of his black and white photograph in 1953 �Church and Road�. Saint Teresa of Avila is located next door to the Potter School, which was the setting for the schoolhouse scene in Alfred Hitchcock�s film �The Birds�. The Church can be seen in the film. 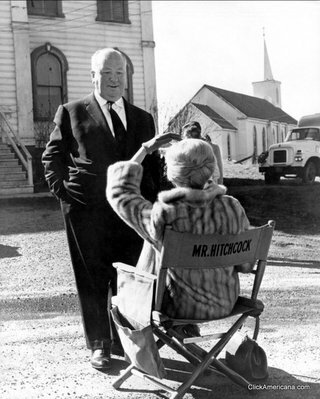 Locals tell us Hitchcock attended church services during the filming of his movie.